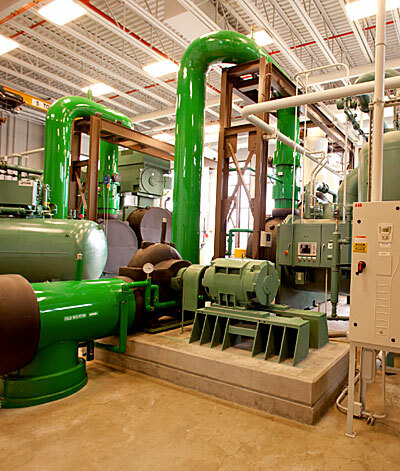 In recent years, Mock Plumbing & Mechanical, Inc. has become a leader in geothermal heating and cooling system installations for large commercial projects in the region. While geothermal systems are among the most cost-effective and green-friendly solutions available today, the installation of these systems can be one of the most complex. Geothermal energy systems are highly efficient and provide significant savings over other commercial heating and cooling systems. Geothermal energy systems don't use combustion to heat your facility, avoid the danger of carbon monoxide, and is a renewable energy source. Geothermal energy systems are environmentally friendly and do not emit greenhouse gases.